Home / Luxury Properties / Jewelry / Where Do Diamonds Come From? 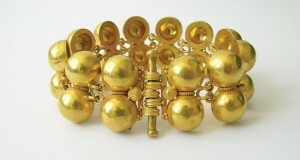 Diamond jewelry has always been a symbol of high class. It is no wonder that the majority of people dream to wear diamond watches, rings, bracelets, necklaces, and other jewelry accessories. After all, they perfectly emphasize social position and sense of style of their owners. But have you ever thought about where these gems come from? In fact, it is hard to calculate the total number of diamond mines, but we can review the largest of them. 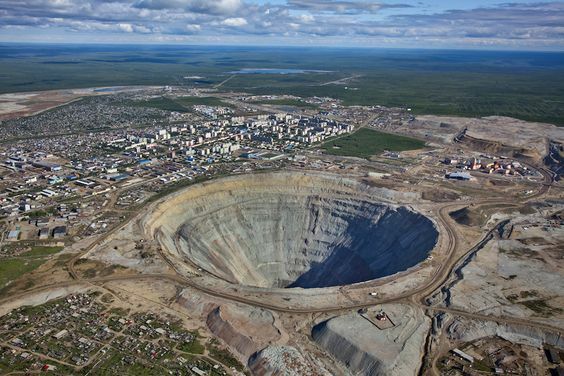 The Yubileyny diamond mine (also known as the Jubilee) is the largest pit in the world. It contains approximately 153 million carats of recoverable diamonds and operates at a depth of 320 meters (expected to reach 720 meters). 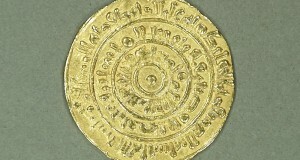 The mine started its operations in 1986 in Sakha (Yakutia), Russia. On average, it produces 11 million carats of diamonds each year. It is the second biggest pit on the planet. As well as the Jubilee mine, the Udachny is located in the Yakutia region, Russia. It contains about 152 million carats of mineable diamonds and produces 10 million carats every year. Nowadays, it is one of the deepest mines in the world – 600 meters. Both Jubilee and Udachny mines belong to the Russian state company Alrosa. 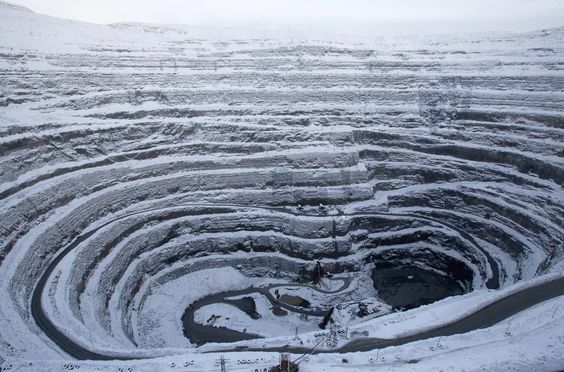 The third largest mine is located in Mirny, Sakha Republic, Russia, and it also belongs to the Alrosa. 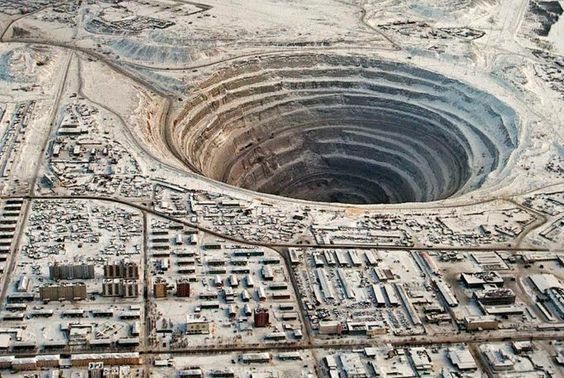 The diameter of the pit is 1200 meters, and it makes the largest excavated holes on the Earth. 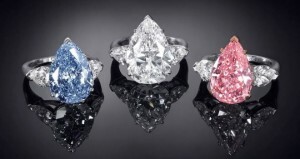 Its estimated reserve of diamonds is 141 million carats. It’s interesting that in 2004, the open pit was closed, and all mining activities are now held underground. The Argyle pit is the fourth largest mine. It is located in the Kimberley region, Australia. 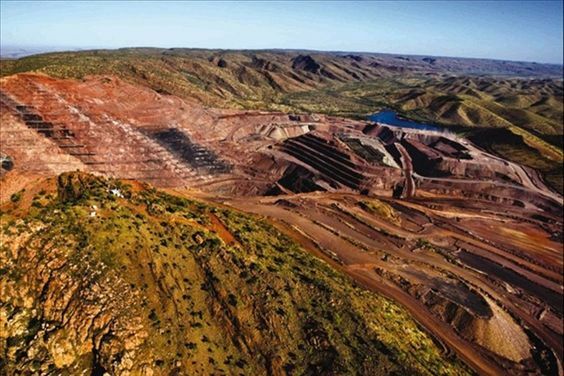 The production started in 1983 by the Rio Tinto Group. The mine contains about 140 million carats of recoverable diamonds and produces 10 million carats per year (expected to mine 20 million carats). Unlike the previous mines that use the kimberlite pipe, the Argyle exploits a volcanic pipe of lamproite. 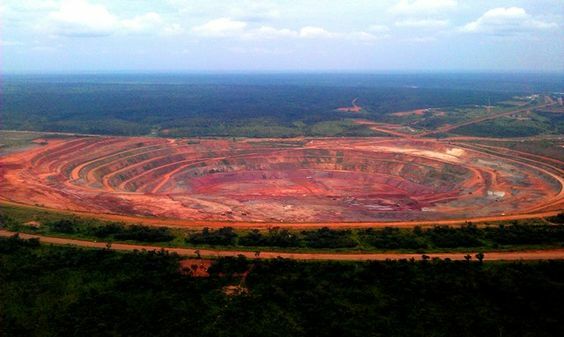 Moreover, this mine produces over 90% of the world’s supply of pink and red diamonds. The Catoca diamond mine is the fifth largest producer of diamonds. It started its operations in 1993 near Saurimo, Angola. The Catoca belongs to a group of international companies, including Endiama (32.8%), Alrosa (32.8%), and Odebrecht (16.4%). Its capacity is about 130 million carats of gems, and it produces 6.5 million carats every year. It is also worth noting that in addition to these five largest mines and about a hundred smaller ones, there are also illegal mines owned by rebels, which are used to sponsor armed conflicts. Thereby, it is of utmost importance to know where the diamonds come from before to purchase luxury accessories. However, if you want to buy a diamond watch by Patek Philippe, Omega, Chopard, Piaget, or any other renowned brand, be sure that these companies use only original high-quality diamonds.